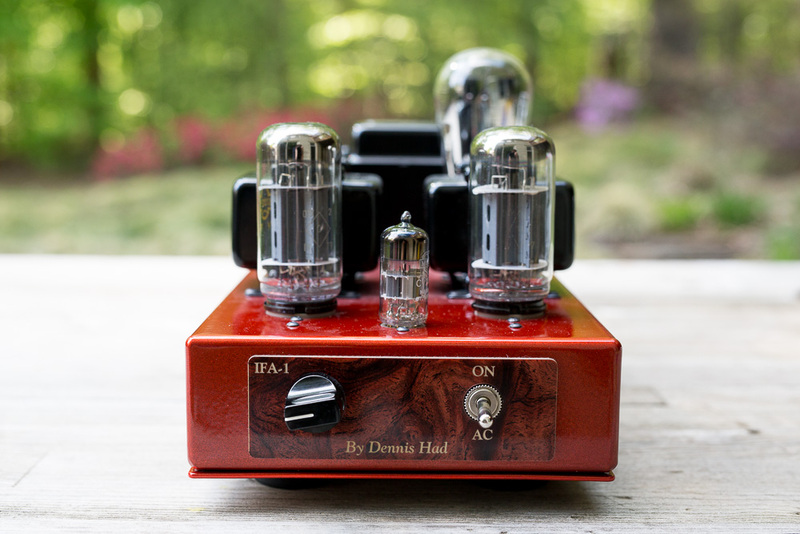 Dennis Had is a legendary name in tube audio. 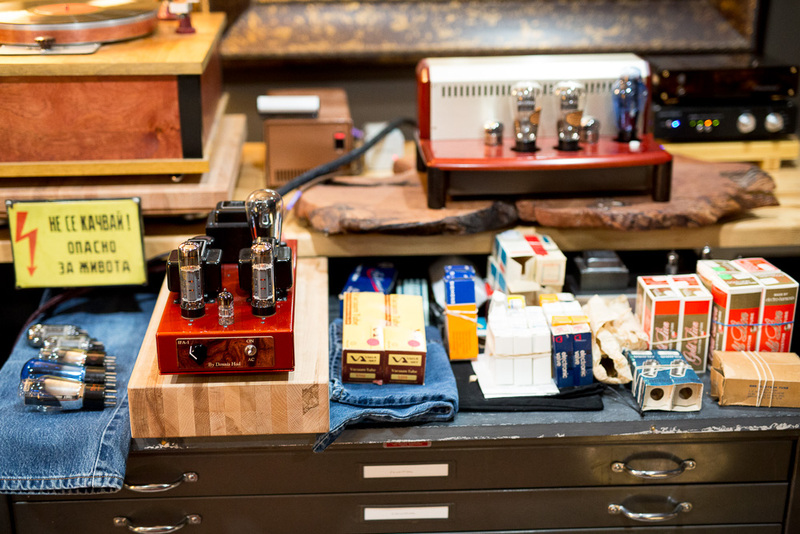 The founder of Cary Audio, Dennis has been at the tube business for a long time. 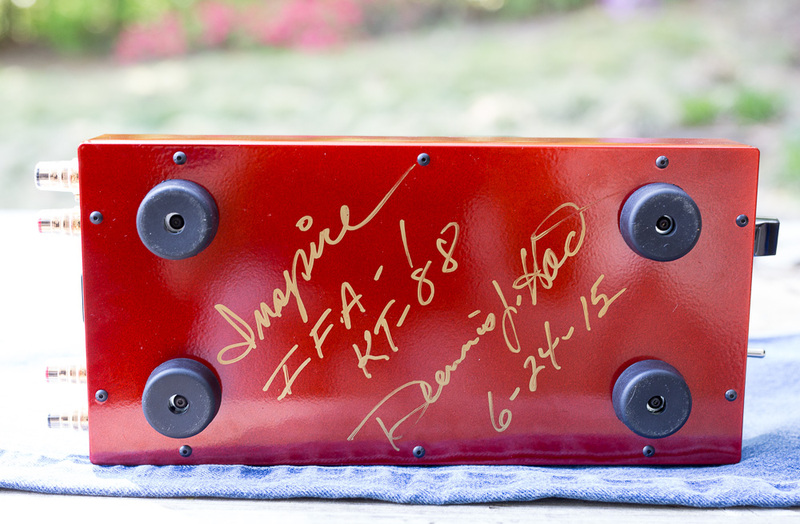 Now in his retirement, Dennis builds one-off single ended amplifiers out of his workshop in Cary, North Carolina under his "Inspire" brand. 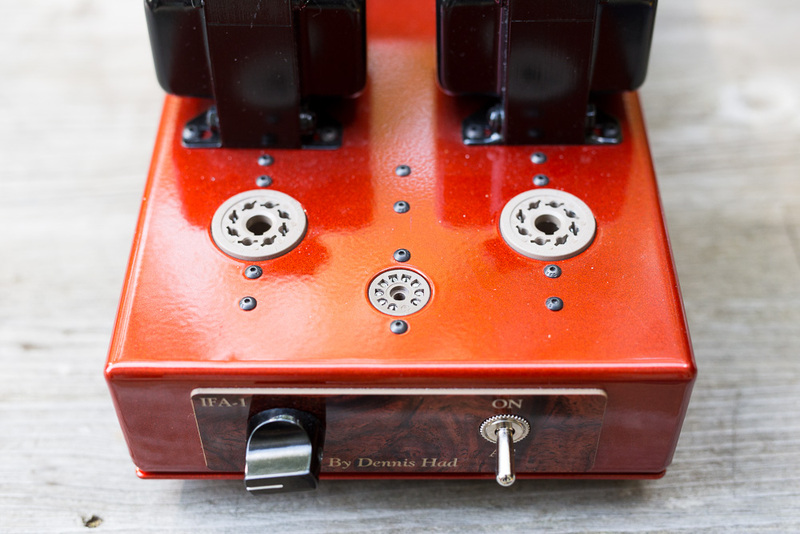 I've been watching these beautiful amps come and go on eBay for a while now, but all of the Inspire amplifiers that I've seen so far are pure power amplifiers, with no integrated functionality. I've come to the point in my audio journey where I want a volume control on every amplifier; I think more often than not amplifiers sound better run direct than following a preamp. So when I saw this used 2015 version of the Inspire with an Alps Blue volume control I grabbed it. 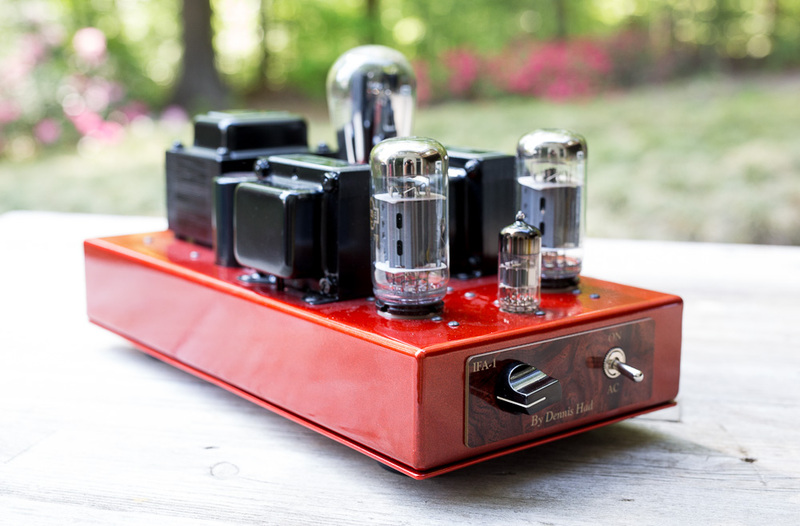 Intended as a KT88 amplifier, this beauty will run pretty much any of the 6L6 family of tubes, plus EL34, KT66 and KT120 (and still a few more not mentioned). That makes it the most versatile amp I've owned, a title previously held by the Decware Mini Torii. 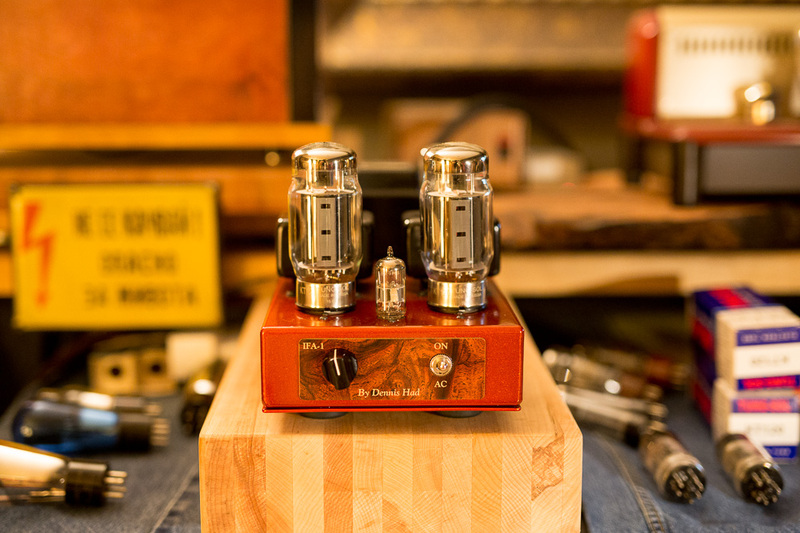 This amp runs the user’s choice of the Type 80 rectifier, or a 5Z3 for higher voltages with tubes like the KT120. With a pin adapter, it can take any of the popular rectifiers like 5AR4 and 5U4G as well. Most importantly to me though, it uses a single 6922/6DJ8/6N1P tube for the driver or input tube, a trait it shares with the Decware SE84UFO. The 6922 tube family has a lot of variation and a lot of flavors to choose from. 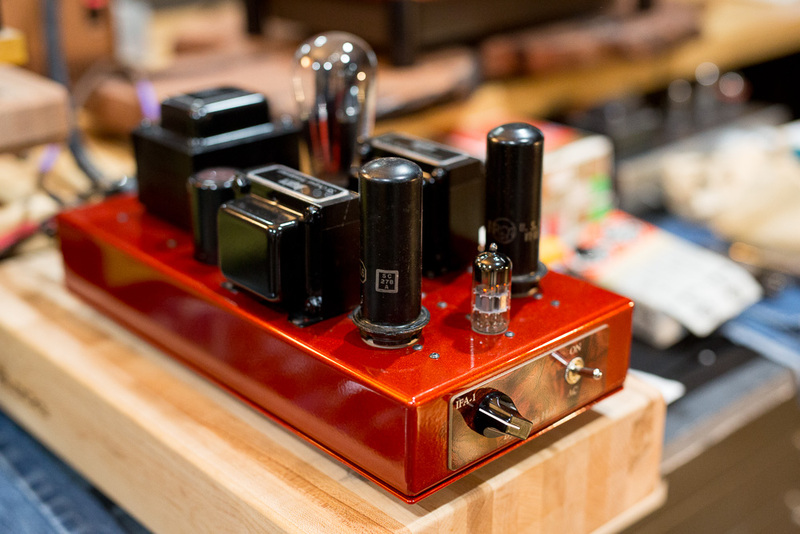 All of this combined with the output tube flexibility makes this little amplifier quite a Swiss Army knife. 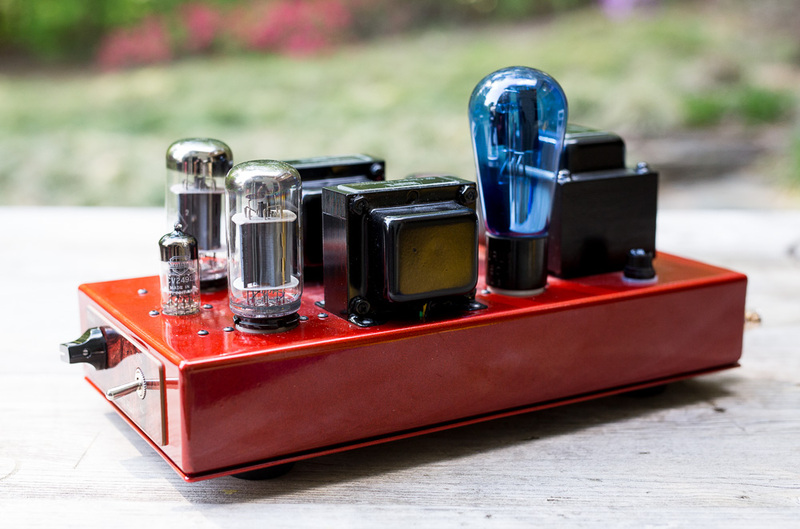 As it turns out there are a lot of sound possibilities with this amplifier and it’s sure to provide hours of geeky distraction on a rainy Sunday afternoon. 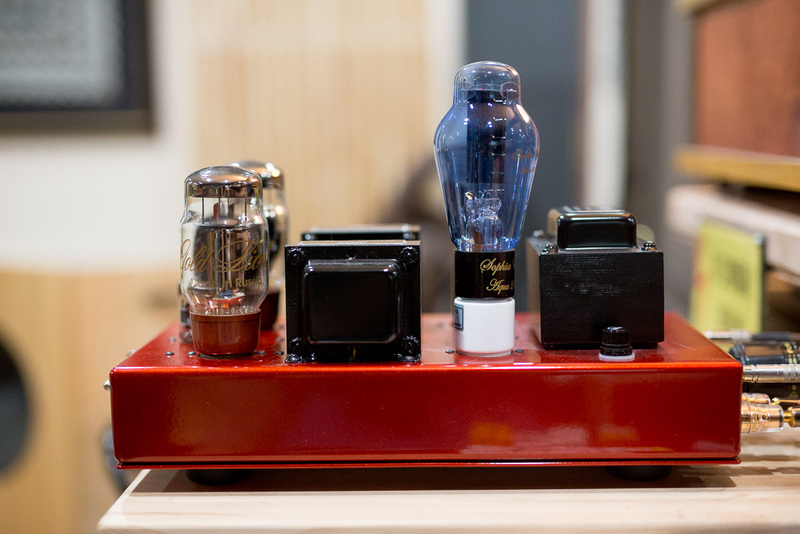 In person, this is a great looking and feeling amplifier. For a workshop creation this is every bit as clean and classy of a build as I've seen on any tube product anywhere. This feels robust and supremely well made. Its footprint is relatively small as well, and its not a 50 pound monster like some of the other gear that has passed through here has been. All in all this looks and feels like the true Hot Rod that it is. So how does it sound? Quite good actually, with the KT66 or EL34 probably being my favorite flavor at this point. For the input, a Siemens E188CC is my favorite preamp tube so far, with a Mullard CV-2492 being a close runner up. 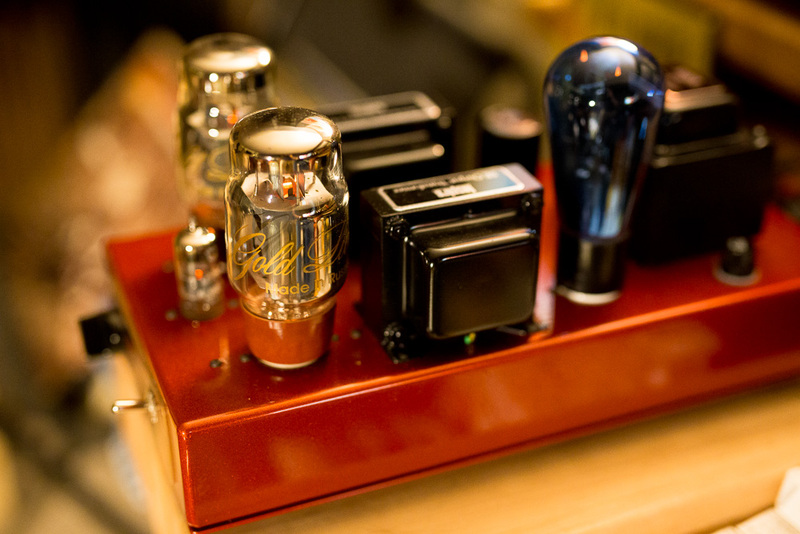 For rectifiers, I like the same Radiotron 80 globe that I use in the Oliver Sayes 46 amplifier. So equipped, this Dennis Had "Inspire" amplifier is a very strong performer. No hum, no static, no issues at all, just super hi-fidelity with a great soundstage, easy to place performers and a voice that is in the room. This may be the single ended 6L6 amp that I keep for the long haul. Highly recommended for the tube rolling audiofool like myself. 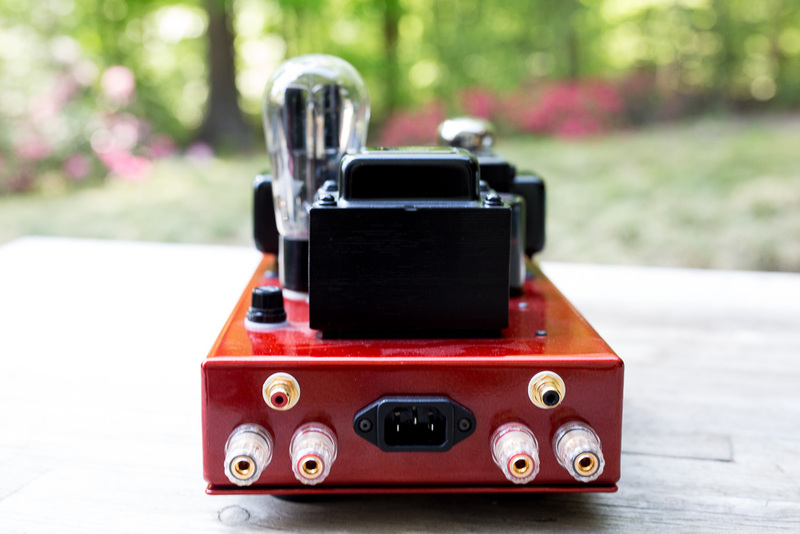 Super high quality build with teflon tube sockets and luxurious automotive style paint. Well done! Its hard to beat the look of the early 1930's blue Arcturus 80 globe. 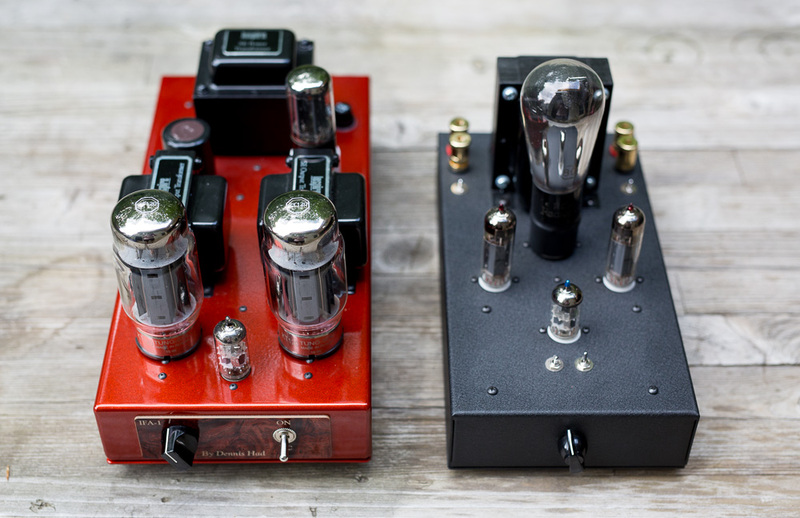 SO MANY sonic possibilities with power, input and rectifier tube choices galore. Here we have a couple of 80 and 5Z3 rectifiers, KT66, EL34, 6P3S-E, KT77, 350B, 6AR6 and 6L6 power tubes, and a pile of 6922 tubes to choose from. 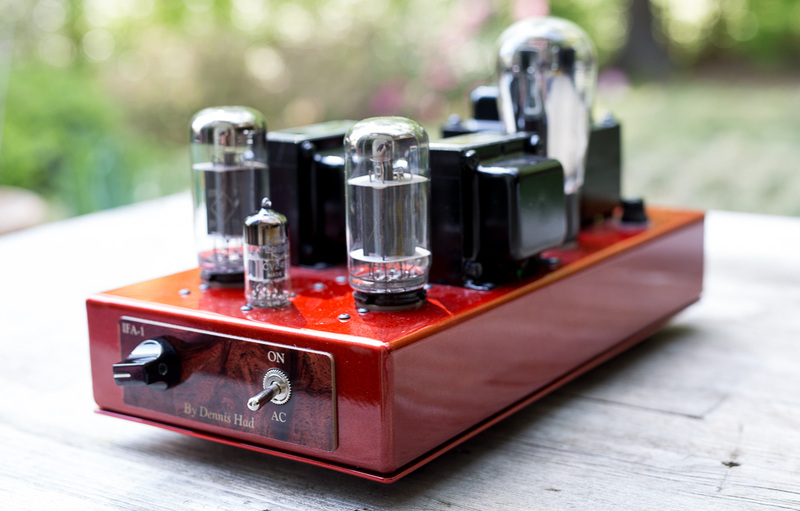 Did I mention this runs EL34 tubes as well? 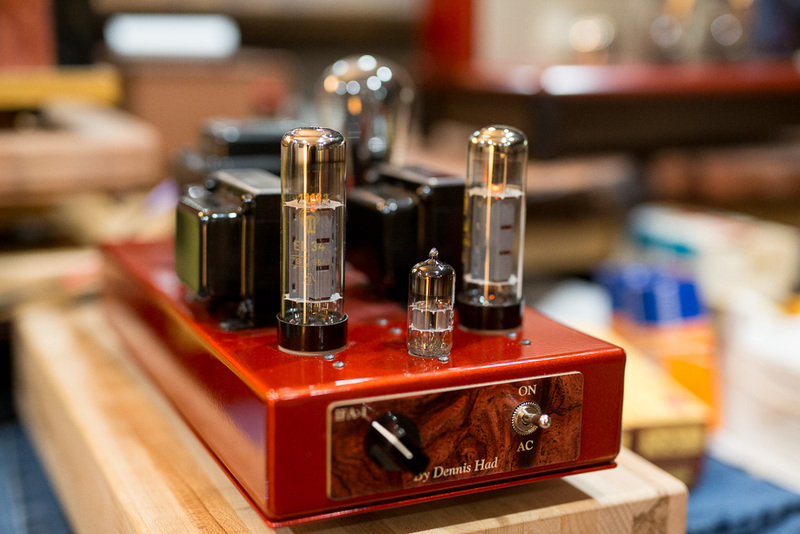 Very clear "live" and crisp sound with these older short base RFT tubes. 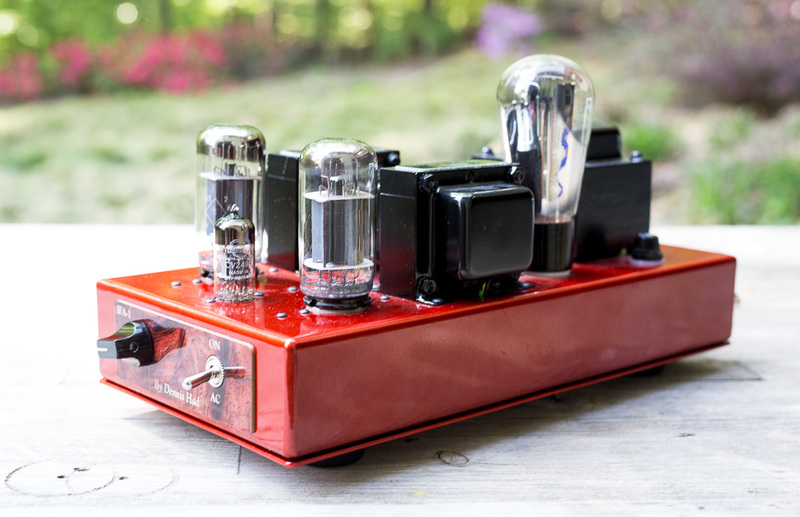 Here it is running WW2-era metal 6L6 tubes from RCA. These sound very good actually, with a warm and richly textured presentation; perhaps a tad less sparkle than some of the others. 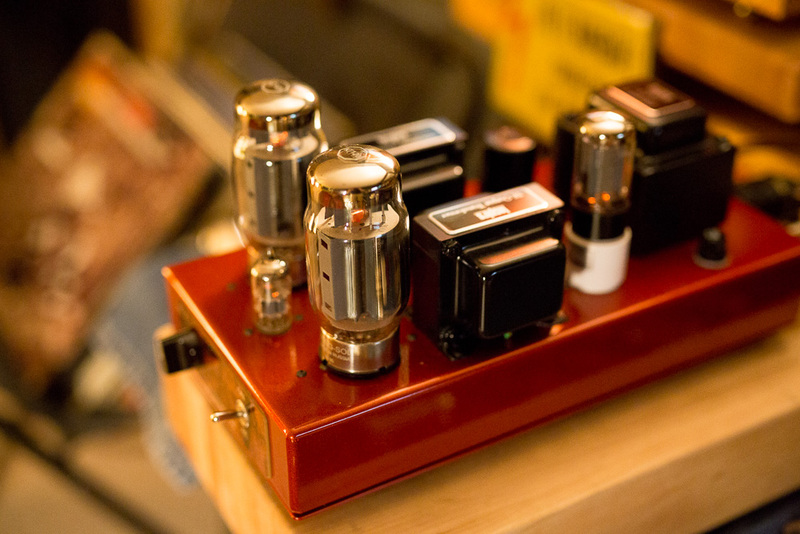 The early metal version of the 6L6 is a fine tube and still very affordable, but be warned that it cannot handle a circuit with voltages designed for the later 6L6GC. The KT66 is a top performer in this amplifier. The hand-grenade sized KT120 is a big and powerful tube in this amp, here rectified by a Mullard "saw tooth" 5AR4 on a 5U4 to 5Z3 pin adapter. And while the whole picture is slightly "bigger" with the KT120, I feel like the image and realistic spacing is better with some of the less powerful tubes like the KT66 and the EL34. The Sophia Aqua 274B rectifier is a great performer in my Yamamoto amplifier, but I feel the 80 globe is an overall better choice with the Dennis Had amp. Here it is next to the Decware SE84UFO. Size wise they are similar but otherwise its apples vs. oranges. If you own efficient speakers, both are sure to please.